Design depicts a garden for plants used for dyeing threads and fabrics in Medieval ages. 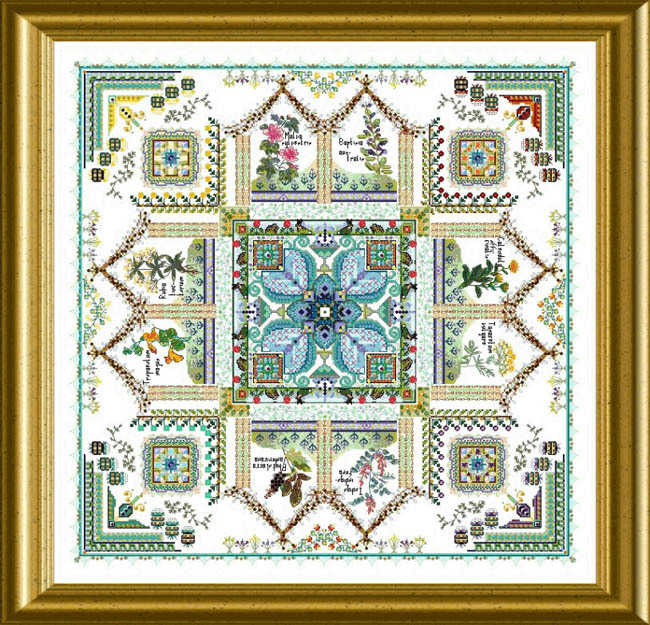 Mainly cross stitch also features specialty stitches, beads, crystals and wide variety of specialty threads. Count: 310 x 310.